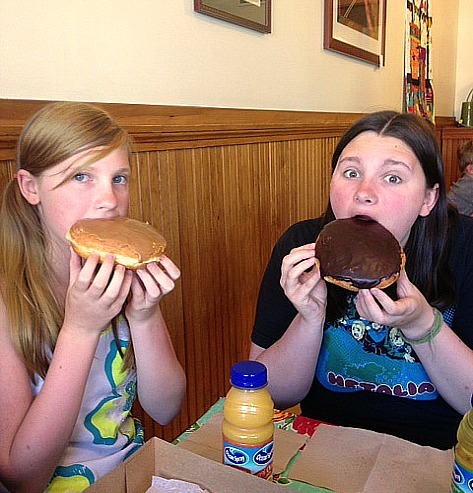 Lily w/ her maple doughnut and Katie with a cream filled chocolate doughnut. Yum! When you visit Central Oregon do yourself a favor and indulge at Sister's Bakery in Sisters, Oregon.